Batman V Superman: Dawn of Justice – a film that divided audiences. With the release of Batman V Superman: Dawn of Justice on March 25th 2016, the world was treated to their first proper glimpse at the DC Cinematic Universe. While 2013’s Man of Steel had acted as the foundation for such a treatment (much in the same way Iron Man acted as the foundation for Marvel’s catalog of films) Batman V Superman: Dawn of Justice was to be our first glimpse at how Warner Bros. were going to merge their various stables together. No longer were audience simply going to be provided with Easter eggs related to each character (as seen in Man of Steel, Batman Forever and Superman Returns), here, we were finally going to see DC’s formidable group of heroes share the big screen together, beginning with their two most iconic and ultimately contrasting characters. On paper, Batman V Superman: Dawn of Justice sounds like it was a surefire blockbuster smash, and in fact, if you look at the figures, it was! The film dominated the box office over its Easter weekend release date, grossing $422.5 million worldwide. This is noted as the eighth biggest opening of all time and the second highest opening in Warner Bros history. With a budget of $250 million, I’m sure this constitutes as beyond breaking even. Yet, despite these figures, Batman V Superman: Dawn of Justice didn’t necessarily perform as well as it should have, something that left several Warner Bros. executives very unhappy. Perhaps due to negative word of mouth between viewers and critics (or, the “Martha” effect, as one of my friend’s cruelly put it), the film broke records for the worst Friday-to-Sunday drop for a modern Superhero movie with a 58% decline and in its second week experienced an 81.2% decline; one of the largest drops in recent history. This settled it on the wrong side of Warner Bros predictions, failing to not only joining the revered ‘£1 billion’ club of blockbusters and ultimately ending its run with an $871.9 million total. While still respectable, this wasn’t the kind of start Warner Bros wanted, especially considering that this film was to signal the first cross-over between their vast toy box of superheroes. With many viewers and critics criticizing the films pacing, dialogue and even the grim and gritty aesthetic, this signaled rumours of a large restructuring exercise at Warner Bros, with the studio rapidly seeking to alter their behind the scenes approach to these films. Ben Affleck will not only direct a new ‘Batman’ movie, he has also been brought on board by Warner Bros as a producer. One such change, is that the universe appears to be no longer dominated by the vision of Zack Snyder, who had set the dark, gritty tone with Man of Steel. While Snyder is still scheduled to direct Justice League Parts I and II, the fallout from Batman V Superman: Dawn of Justice, has caused Warner Bros to reassess how they approach these films. Though still unconfirmed, it appears that producer Charles Roven is also set to change roles, moving on to become an executive producer as opposed to being involved in the day-to-day production of these films (see link here). In an effort to move away from the previous regime, Warner Bros. have focused their efforts on providing current ‘Batman’ Ben Affleck and DC head honcho Geoff Johns with more active production roles in the creation of this movie universe. 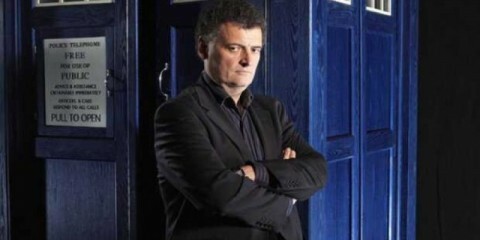 Johns particularly looks set to possess an integral role in shaping up DC’s approach to cinema. Alongside executive VP John Berg, Johns will be co-running the new DC films banner, in an approach that seeks to mirror Marvel’s success with Kevin Feige. Such a change has also prompted the removal of Seth Grahame-Smith as director of the big-screen version of The Flash, with the studio apparently seeking a more established director to take up the reins. This also prompted questions over James Wan’s future as Director of Aquaman, who has since gone on to clarify that he is still attached to the project and that the film will not be following the same ‘dark’ approach used in Snyder’s Batman V Superman: Dawn of Justice (see link here). Though questions still remain over DC’s approach to Aquaman and The Flash, details that are slightly more concrete are that of this fledgling universe’s approach to both Batman and Wonder Woman. Both where two performances that came out of Batman V Superman, with largely positive reviews. While the character’s actions and motivations may have divided fans, most people agreed that Ben Affleck’s intense portrayal of Bruce Wayne was both effective and impressive. Both Affleck and Jeremy Irons (who played Alfred Pennyworth), have both been similarly disappointed at the response to the film (see links here and here), and seem eager to make up for it. 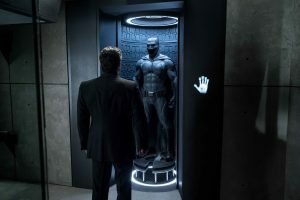 As a result, DC has since gone on to announce that Ben Affleck himself is being charged with bringing his character’s adventures to the big screen, with the actor himself being hired as the film’s director. With films like Gone Baby Gone and Argo under his belt, Affleck stands as an incredibly positive choice, and despite initial rumours of him adapting the Under the Red Hood story line, it appears Affleck will be a completely original story, featuring several of the character’s prominent Rogues Gallery. Gadot’s Wonder Woman appeared to draw a largely positive reaction from audiences. Gal Gadot’s Wonder Woman, also drew largely positive praise from audiences, and it appears director Patty Jenkins will be providing something of a unique superhero film, one that will merge a largely period setting (World War I) with ancient Greek mythology. 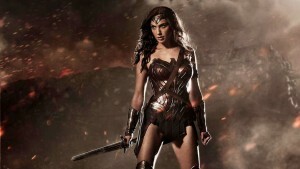 As the first superhero tent pole film directed by a woman, with a female lead, Wonder Woman from the outset has looked to offer something different to audiences, fusing similar approaches that was previously seen in Marvel’s Captain America: The First Avenger and Thor to create a brand new hybrid of the genre. Gadot looks to be further backed up by an strong supporting cast, made up of such names as Connie Nielsen, Chris Pine, Robin Wright and Danny Huston, again, enhancing the film’s pedigree. While early footage (as shown in the CW’s Dawn of the Justice league special) showed a distinctly dark approach, early set pictures have been more encouraging, providing us with a much lighter approach than what was seen previously in Batman V Superman. While not much may have changed at all from the studio’s original approach (the film is still produced by Charles Roven and began filming directly after Batman V Superman), the initial outlook here is exciting, and although placed up against Transformers: The Last Knight, hopefully Wonder Woman will hopefully provide audiences will have just enough innovation to provide audiences with something new, whilst offering Warner Bros. the box office smash they so desire. 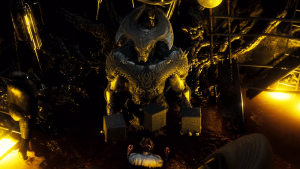 Steppenwolf appeared within a deleted scene for Batman V Superman: Dawn of Justice – leading to speculation of his involvement in Justice League Parts 1 and 2. We also must not rule out Henry Cavill’s Superman, a character seemingly lost in the maelstrom of changes in DC. Though he appeared to be dead at the end of Batman V Superman, most comic book fans fully expect the Man of Steel to return in time for Justice League, as well as appear in his own sequels. While Cavill hasn’t had the best of starts as the man of steel, it is generally thought that he still has a lot to offer, and with the character still boasting an impressive rogues galley that has never been placed on film, perhaps it is now time for Warner Bros. to mine this. Although it is believed that Darkseid (and now one of his generals, Steppenwolf) will act as antagonists of Justice League, Superman still has villains such as Brainiac, Metallo and even the Parasite to choose from if they so desire. Sequels could also see the return of Lex Luthor and Doomsday, with the former’s actor Jessie Eisenberg having already confirmed his reappearance in future DC films. 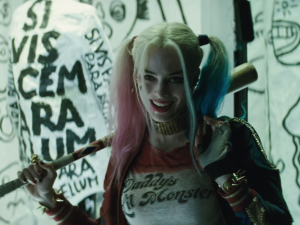 Suicide Squad appears to have already gained a large degree of audience interest. However, DC’s Justice League are not the only superhero properties that have had changes following the release of Batman V Superman. While early twitter reactions from David Ayer’s Suicide Squad have been largely positive (see link here), stories began to spread prior to this that rigorous re-shoots were being undertaken, following both the largely negative response from Batman V Superman: Dawn of Justice and the positive response for the film’s trailers. With rumours that the trailer contained pretty much all of the film’s jokes, many stated that the re-shoots were being undertaken to inject more humour into a film (See link here). 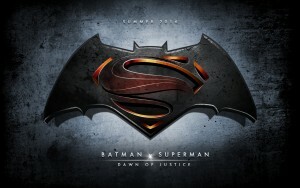 While Ayer and several other sources have since claimed that this is not the case, the film’s marketing looks to be offering a distinctly different approach from the grimness exhibited in Batman V Superman: Dawn of Justice. Using tracks by Queen and Sweet, the film appears to infuse pop culture lightness with hard-hitting action, a strategy that has proved popular with its audience. 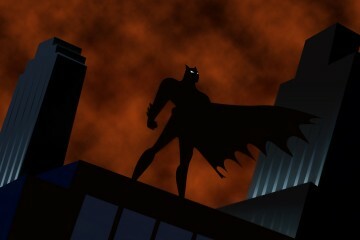 With positive responses to Ben Affleck’s Batman, such trailers have provided more glimpses into the Dark Knight’s presence within the film. Early word also states that Affleck’s appearance here is much closer to the comics, and more a protector than the bat-branding, gun toting vigilante last seen in Batman V Superman: Dawn of Justice. Margot Robbie’s performance as Harley Quinn looks set to steal the film and plans are already in place for a spin off. 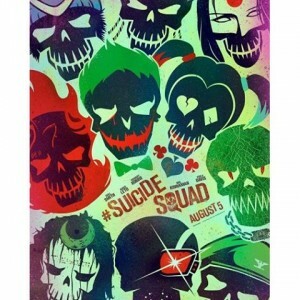 Promotional material aside, Suicide Squad appears to function as an introduction to new interpretations of iconic characters as Harley Quinn and The Joker, merging these well-known villains with generally less popular ones such as Will Smith’s Deadshot and Jai Courtney’s Captain Boomerang. While the thought of Jared Leto’s Joker squaring up against Ben Affleck’s Batman is an intriguing prospect, it appears that Margot Robbie’s Harley Quinn looks set to steal the show, with much of the early word focusing on her performance. Such confidence in her performance has recently led to rumours of Warner Bros planning an entirely female-centric superhero film, with Robbie’s Harley Quinn as the lead (See link here). Possibly flanked by such notable heroes and villains such as Catwoman, Batgirl, Black Canary, Poison Ivy, could this possibly be another example of DC’s attempts to revitalise the genre and capitalise on what they can see appears to be working with audiences. 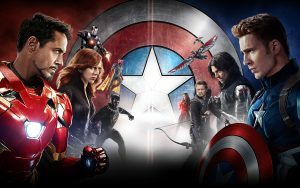 Recent successes like Captain America: Civil War have shown that the interest is still there for superhero movies. Ultimately, it appears that the fallout from Batman V Superman: Dawn of Justice has signaled some slight, but distinctive changes to the DC comics strategy, mostly for the better. Despite this, I would like to end by noting the resurgence of the term “Superhero Fatigue” by critics, with some, perhaps prematurely, describing this as having a definite impact on Batman V Superman’s Box Office outcome. Although, at the time this might have seemed apt, the recent successes of Deadpool (released beforehand), Captain America: Civil War and even X-Men: Apocalypse (though time will tell), demonstrate that such accusations where perhaps premature. The reality is that superheroes have been big money for over 15 years now and probably have several more years of dominance still to come before they are exchanged for something else. That’s just the way Hollywood has always worked, with the much referenced ‘Western’ as a notable example. It’s also worth commenting that critics and viewers who shout such accusations and the need for “fresh ideas and experiences” perhaps need to readjust their thinking. Superheroes have evolved throughout the years within the comic medium through innovation. By being able to adapt to the public consciousness, Superheroes have stayed relevant and provided new concepts and ideas to readers. To simply say, studios need to completely stop making superhero movies and move onto something else, is both shortsighted, ignorant and altogether, rather sad. With such a mindset, movies such as The Dark Knight, Guardians of the Galaxy or even Deadpool, would never have been made. What studios perhaps need to do (and something DC now appear to be attempting) is to start focusing on producing unique and innovative superhero experiences that offer the audience something new, while also being both entertaining and of high quality. While there have been some failures with this approach (e.g. 2012’s critically praised Dredd, which flopped dramatically the the box office), the answer it would then seem, is to not completely remove superheroes from cinema screens, but create films that feel new and constantly evolve the genre, without sacrificing quality or storytelling. As it stands, the future is still very bright for DC and Warner Bros. But only if they can deliver.